← Giveaway: The Big Apple Circus is Coming to Town! Monday – Get outside to take advantage of warmer temps! Riverbend Park in the Great Falls area is an ideal spot for it. While the locale may not be as popular as its national park neighbor, it’s just as fantastic a place to enjoy some time in nature — especially with kids. Trails are mellow for little trampers, the views are gorgeous, there are plenty of nice picnic spots, and admission is free. Plus, if you want to see the magnificent falls up river, they’re an easy two-mile walk in the woods away. Riverbend Park hours are 7am to dusk. And for more places to opt outside, see the round-up of The Best Places in the DC Area to Enjoy a Beautiful Day Outdoors with the Kids. Tuesday – Enjoy another warm-for-winter day at Oxon Hill Farm near National Harbor. Visit the animals, roam the lovely grounds, check out exhibits of old farm machinery and local history, and enjoy activities in the Visitors Center. Hours are 8am – 4:30pm, and admission is free. Wednesday – Watch local kids recite Abraham Lincoln’s speeches at the Lincoln Oratory Festival. The event brings together students from the DC area to perform Lincoln’s own on the Ford’s Theatre stage. They’ll take the stage to perform some of Lincoln’s most important speeches, including both his inaugural addresses and the Gettysburg Address, and the public is invited to be part of their audience. Reserve free tickets in advance online or get them at the Box Office. (Note: This also takes place on Tuesday.) While you’re there tour the museum and Petersen House across the street — read more about that adventure here. Thursday – Check out the latest exhibit at ARTECHOUSE. 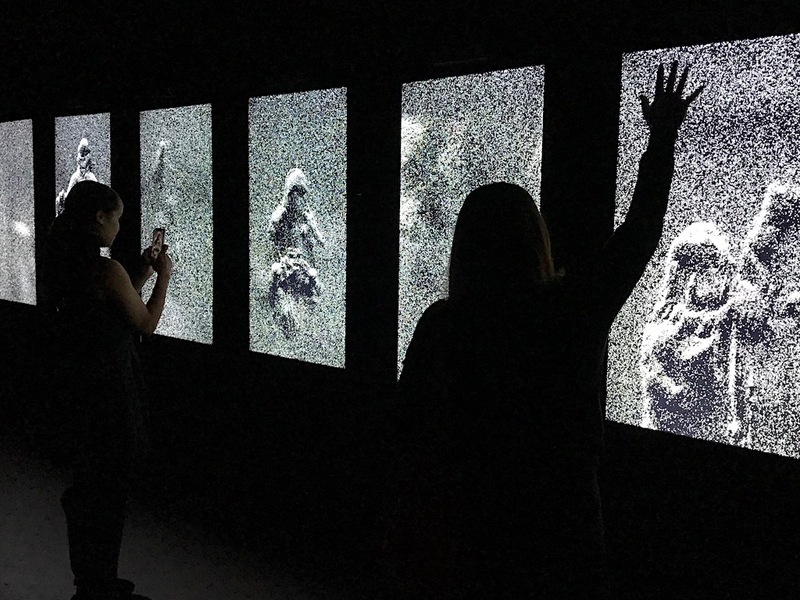 Everything in Existence explores concepts of eternity and infinity through several digital art installations, some of them interactive, and all of them very cool. Family friendly hours are 10am – 5pm, and admission is $15/adult, $8 if you purchase in advance online. Friday – Catch a performance of The Velveteen Rabbit at The Puppet Co. Showtime is 11am, and tickets are $12. If weather permits, plan to stay for fun on the Glen Echo Park playground after the show!